What Is Ecoplanet Anti-Cellulite Cream? As per the manufacturer, Ecoplanet Aromatherapy Cream Anti-Cellulite, around US $26.60 for a 1 kg jar, is a cellulite reduction cream that has been formulated to deliver multiple benefits to cellulite-challenged areas of your skin, and even comes with scar healing functions. This product is brought to you by ecoplanet, an India-based skin care company that primarily caters to the product requirements of spas, including aromatherapeutic products that have been claimed to rejuvenate the senses. All ecoplanet products are sold at wholesale quantities and prices to health and wellness entities that include spas, resorts and hotels. Although there are very few reviews online to back the company claims. Ecoplanet Anti-Cellulite Cream — Does It Really Work? Help facilitate fat burn over cellulite-challenged areas of your skin. Promote a better toned skin with a firmer and plumper structure. Support your skin’s natural mechanisms for skin healing and repair to smoothen end even out the tone and texture of scars. Fade and smoothen the appearance of cellulites. Improve local fat metabolism and fluid drainage. 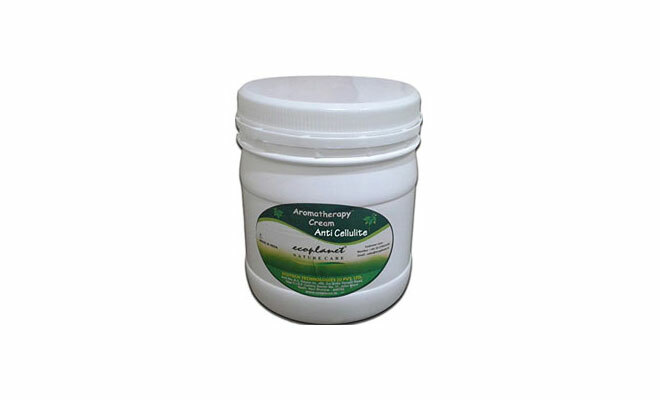 What Are The Ingredients In Ecoplanet Anti-Cellulite Cream? Aloe Vera Gel: It helps strengthen your skin’s surface texture and structure, making your skin more resilient to damage as well as thickening your skin to make cellulites appear noticeably faded and smoother. Although it may also cause rashes on the skin & itchy skin. Shea Butter: It significantly plumps your skin with added conditioning as it simultaneously promotes faster skin healing and repair. Olive Oil: Loaded with powerful antioxidants, it helps revive your skin’s vitality in delivering its repair and healing functions. Essential Oils: Derived from grapefruit, lemon, ginger, black pepper, clove leaf, and lime, these oils deliver therapeutic benefits to your skin as well as a relaxing overall experience to the senses, all while simultaneously deeply penetrating your skin to support faster skin healing and intense skin conditioning. Apply Ecoplanet Anti-Cellulite Cream over affected skin areas for up to two times daily. To enhance these product’s benefits, apply over freshly scrubbed skin to allow more of its beneficial components to deeply penetrate your skin. Ecoplanet Anti-Cellulite Cream doubles as a scar healing salve to help even out the appearance of scar marks. This product is helps to reduce fat. This product also helps to tighten skin. Although there are limited reviews regarding this claim. Ecoplanet Anti-Cellulite Cream reviews are severely limited, providing very little firsthand information about actual user experience with this product. This product appears to deliver on its claims by merely delivering ingredients that plump skin but, there’s no indication that these will burn excess fats, improve fluid drainage or, enhance blood flow which have longer-lasting effects on cellulite-challenged skin. This product appears to have a limited availability with possibility that it may only be available in India. There are not many reviews online to back the companies claim. Does Ecoplanet Anti-Cellulite Cream Have Any Side Effects? Based on the ingredients and reviews, the only side effects that may be experienced when using Ecoplanet Aromatherapy Cream Anti-Cellulite are skin irritation and allergic reactions due to several ingredients, including several botanical ingredients, depending on your history of allergy and your skin type. 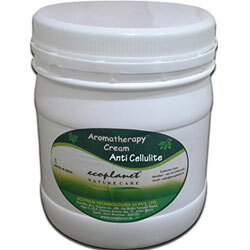 Ecoplanet Anti-Cellulite Cream may be great for containing mostly natural ingredients. The sad part is that there is no information available about this product’s full ingredients list. It also appears to have a limited availability which may not make it easy to maintain as part of your daily skin care routine. My Cellulite Solution Review 2018: Side Effects, Detailed Review And More. Booty Firm Cream Review: Ingredients, Side Effects, Detailed Reviews And More.